We would like to introduce an automated thumb attendance management system in schools, colleges, hospitals and govt. offices that consists of a web system for entire organization to record attendance. A right attendance system imposes the punctuality to employees and ensures maximized productivity time and offers the best integrated permission and leave management operations irrespective of any geographical locations. Unfortunately, no such systems exist in the market, which helps the management to manage their employees' attendance with handy devices. We offers fully automated advanced attendance system, which is built with 2P Technology, which comes along with web based management and mobile app control panel where the head of the organization will be able to get the instant reports of all the branches from any geographical location. The system enables zero connection setup for installation. Attendance machines can be easily relocated across the cities without any setup change. Reports will include history for individuals and teams with their In-time, Out-time, Time Spent, Over Time Spent and etc. This system also includes the App based Leave Management, Permission Management and Holiday Planner. 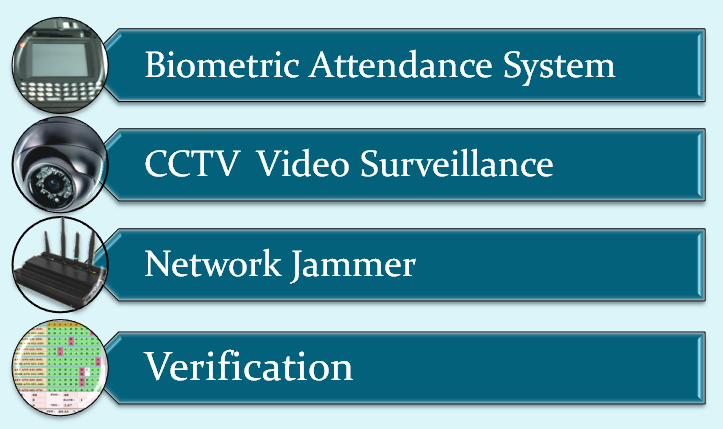 We deal in biometric attendance machine inbuilt with Finger Print Sensor, HD Camera & Barcode Reader. With this machine, we are capturing roll no. of candidates through barcode reader, capture their thumb impression through finger print sensor and capture their photo from HD camera. These all facilities inbuilt in a single machine i.e. very convenient and cost effective. The capacity of each thumb machine is 1 capture / 20 seconds. If center seating capacity will be 500 then we will deploy our 3 operator with machine at the center. Or it can be vary as per examination timing and volume of candidates. We also deal in web based CCTV camera. All examination center will be equipped with high definition CCTV camera. There will be two camera deployed in one room. One from back side of candidates and other one is from front side of candidates. CCTV footage data will be handover to the authority by end of the day of examination. CCTV footage can be monitored live from all examination’s control center. Authority can see live CCTV footage through online secure IP. Recently, the term "Biometrics" has also been used to identify the individual using biological traits such as those based on fingerprints, retinal / iris scanning or face recognition. We use fingerprint biometrics to verify a genuine candidate who has appeared in the examination. We provide reports of the candidates with Roll No., Photo, Template of Thumb impression in CD and hard copy. Methodology can be understood with the following simple example. Firstly, We take fingerprints and photograph of the candidate during examination. 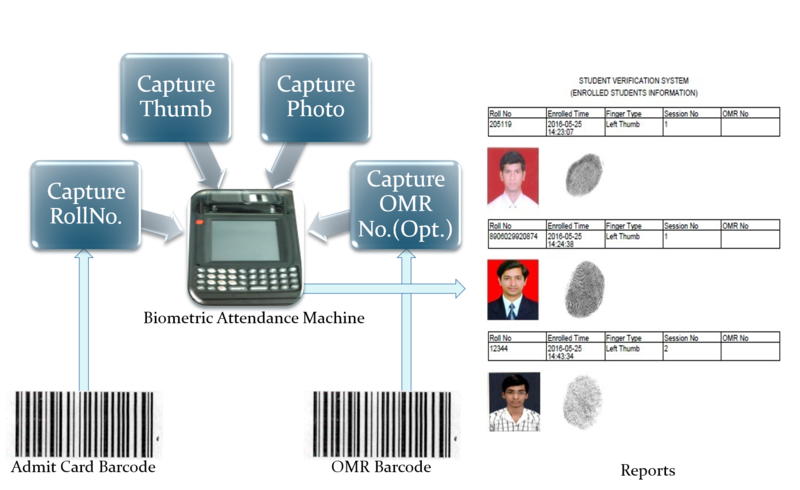 After declaration of the result, when that candidate comes for document verification, fingerprint and photograph is taken again and then are matched with the help of this software. If the fingerprint matches with the one taken at the time of examination then its proved that this candidate is same otherwise it is a case of impersonation. We have used this technology in exams conducted by various Recruitment Boards, Selection Organizations and Public Sector Undertakings. We generate various types of reports according to client’s requirement. Our Thumb Impression Matching service can be used in any type of verification work. Thumb matching services can be used to find examination impersonation, Criminal verification. Court cases etc. The mobile network jammer is a device which blocks the mobile phone signals in a specific area by creating disturbance in wireless field so that the people are not able the use cell-phone in that area. A mobile jammer is the perfect device for prevent malpractice in examination or any confidential place. Once switched on, it will block the mobile phone signals in that particular area and there will be no network coverage in that area. 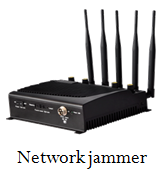 Room wise mobile network jammer is suitable for examination purposes. If examination takes places in a large hall then we placed more than one jammer in one hall as per diameter of examination hall. We deal in Network jammer distribution and installation for examination places, offices or at any place as per client requirement. Get our service with high quality and confidentiality.